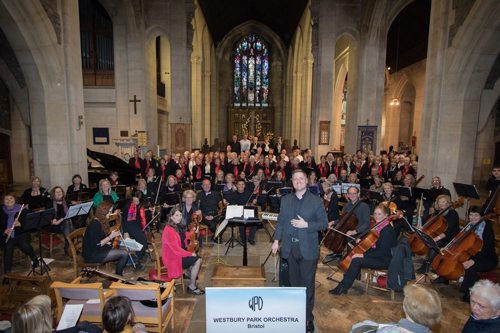 At their inaugural concert on 28 April, Bristol’s newest orchestra, the Westbury Park Orchestra and Bristol Good Afternoon Choir and Thornbury Good Afternoon Choir raised an amazing £1,300 for the Southmead Prostate Cancer Appeal. The programme included a selection of classical pieces, popular tunes and songs starting with the overture from Sullivan’s Iolanthe and ending with an exciting arrangement of the Beatles' All You Need Is Love. Conductor, Ben England says: “The orchestra, the choirs and myself are so proud to have raised such an fantastic collection from our fun evening of music. New instrumentalists (especially string players) and singers are always welcome. See www.westburyparkorchestra.com and www.goodafternoonchoir.org for details.